​name of Brechin maybe from the gaelic "breac abhuinn" meaning spotted or foamy river - or after a man "Brachan" or "Brychan"
North Port is closed and demolished. Founded in 1820 as Townhead, it was renamed as Brechin in 1832 and again as North Port in 1839 (possibly to avoid confusion with the nearby Glencadam). Though the name Brechin was still used later. The distillery was opened by three brothers Guthrie, and remained in family ownership for over 100 years until sold to DCL in 1922. In the 1920s DCL were seeking to control the production of whisky, as there was seen to be over-production, and WWII. Re-opened in 1948, it was modernised in the 1970s, but closed for good in 1983 and demolished in 1994. The site is now a Co-Op supermarket - the notice in the picture above was displayed by Safeway when they operated the shop. The distillery site is only a few hundred yards away from the only remaining distillery in Angus - Glencadam. Nearest National Rail station is Montrose (MTS) (8 miles). Level access to Platform 1, and lifts to footbridge for platform 2. Live train times. The preserved Caledonian railway runs from Bridge of Dun to Brechin. The direct route from Montrose to Brechin is the A935. Avoiding A roads not easy here though Google Maps suggests a route via Hillside and through Langley Park (not marked as a cycle route). Once in Brechin - head for the B966 to Edzell - the B966 turns right at the roundabout and becomes Trinity Road - Distillery Road goes straight on - the Co-op is on the site of the distillery between these two roads. 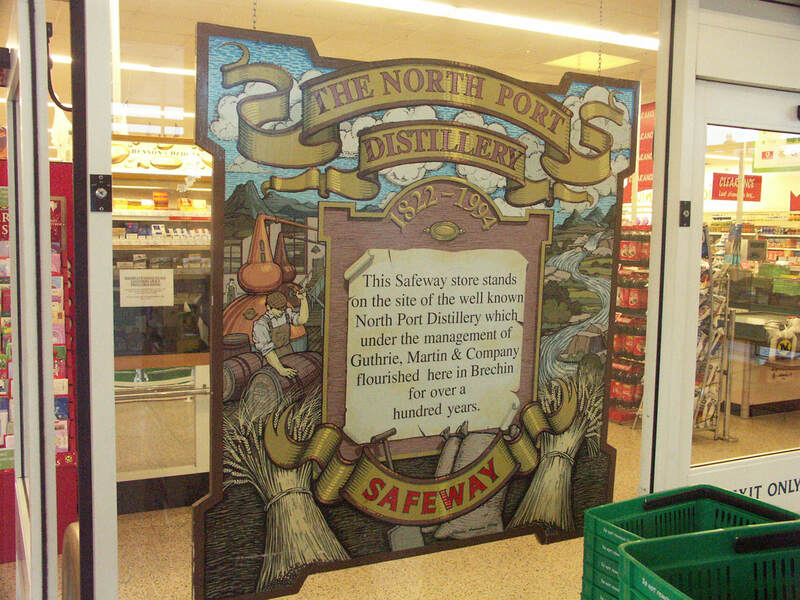 North Port wasn't bottled as a single malt, while it was in operation. Diageo released a number of Rare Malts bottlings in the 1990s, and a 28yo under the Brechin name for the 2005 Special Releases. There have also been some independent bottlings. 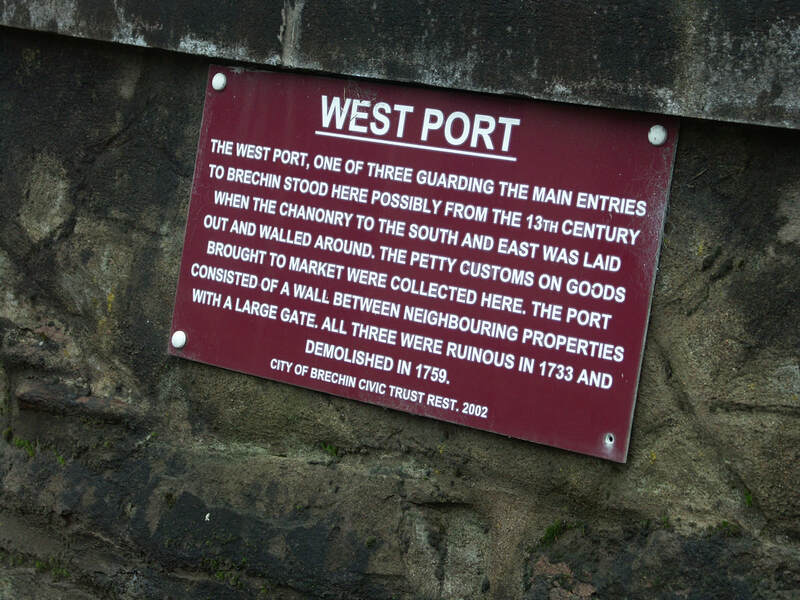 Plaque for West Port, the North Port's history is clearly similar. Photos on this page were taken by me. Click on photo to enlarge. Full size versions of all my photos of North Port Distillery are available on Flickr.